Bassist Michael Merritt, ProfScoSco’s daily Basic Cable Band collaborator, has produced a tribute concert featuring the music of his dad, former Jazz Messengers (and many other) bassist Jymie Merritt. NPR picked up this documentary/performance and is broadcasting it throughout the country. (More info at http:NPR’s website. You can hear the influence of the groove of Blakey, but also the new free sound of Trane–these cats are from Philly and this sound is in their DNA. Also there’s an explanation of the basics of Jymie’s harmonic and rhythmic system, “Forerunner”, a complex and comprehensive concept which runs deep through his music. 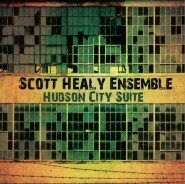 The result is a cool hybrid of “composed” and free jazz. The professor digs this.